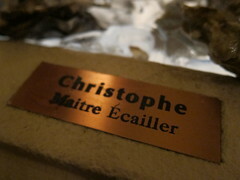 I first wrote about Christophe Happillon, the “Oyster Gourmet,” from a visit to one of his Friday night stints at Joe’s on Abbot Kinney. Little did I know how far he would expand the gospel of his seafood – and it turns out that he has dedicated his weeklyÂ efforts on Tuesdays to Downtown Los Angeles atÂ Church & State. 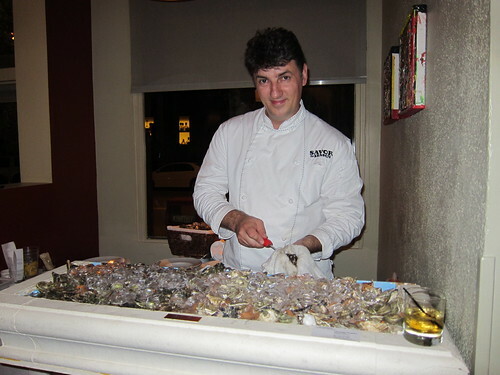 On Tuesdays, he’ll be serving up his favorite oysters after shucking them each personally. 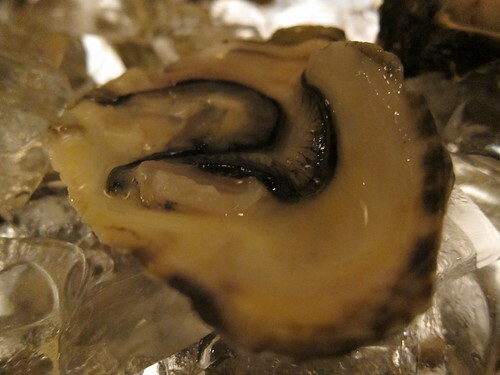 The West Coast varietiesÂ include Carlsbad Luna, Totten Virginica, Kumamoto, Malpeque and British Columbia Fanny Bay oysters. They’ll have the benefit of a pairing by Church & State Sommelier Jeremiah Henderson with crisp, cold Muscadet, such as his 2007 Domaine Tourmaline â€œSaint-Fiacreâ€ or a 2007 Michel Olivier CrÃ©mant de Limoux TÃªte de CuvÃ©e. This entry was posted in Downtown LA, Food and tagged Christophe Happillon, Church & State, Downtown LA, Fanny Bay, Jeremiah Henderson, Joshua Smith, los angeles, oysters, tuesdays. Bookmark the permalink.